Ladies and Gentlemen! 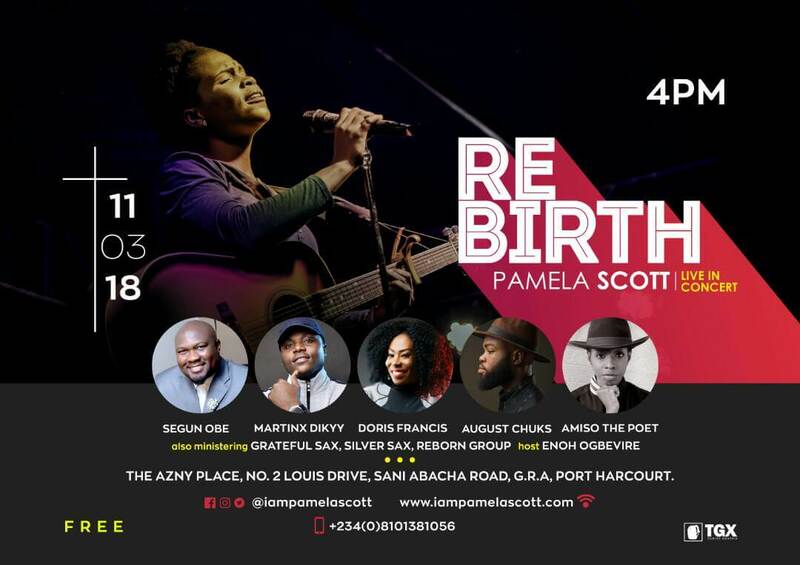 It is official, Pamela Scott Live In Concert #Rebirth2018 happening in Port Harcourt city on the 11th of March 2018 at The Azny Place by 4pm. It is going to be a night to remember! Don't miss out. 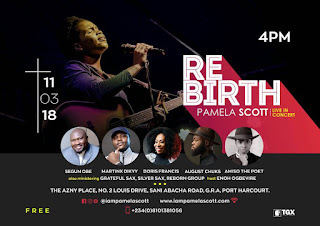 Don't forget to tell a friend to tell another friend who would tell another friend to be there! Haha! Cheers!